From Monday, September 24 through mid-day Wednesday, September 26, 2nd Ave. - adjacent to the wastewater treatment plant and Bohn Park entrance - will be closed for paving. Please use McConnell Dr. to access Lyons Valley Park and the Lyons Middle/Senior High School. Bohn Park visitors may park in the wastewater treatment plant lot, and access the park from the connecting trail under the 2nd Ave. bridge. Thanks for your continued patience in our recovery. Throughout the duration of the project, McConnell Dr., US-66, and 2nd Ave. will experience heavy truck traffic. Road diversions may be implemented to alleviate lane and road closures. Equipment will be staged at the wastewater treatment plant site. The scope of the LVRP Pond project consists of reshaping the pond, installing an internal trail system, restoring habitat and vegetation, and install of the sewer outfall line.Public access is not permitted on the project site. The eastern bank of the October and November hole area remains open to the public. For more information on the project, including final construction plans online and traffic impacts, visit www.townoflyons.com/LVRP. To request a scrap metal pickup, visit Lyonsvolunteers.org and fill out the online work request form. 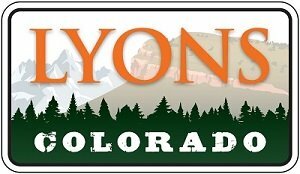 Lyons Volunteers will plan to do a pick-up of scrap metal at your property after they receive enough work requests to fill a small trailer load of scrap metal. Lyons Volunteers is hoping to do at least one CHaRM trip in the next year before September 15, 2019. Ron Stewart Preserve at Rabbit Mountain will be closed to the public Monday through Wednesday from Sept. 17, 2018, through Jan. 31, 2019, for year two of a three-year elk management program through limited hunting. If hunters are successful early in the week, the park will be reopened the following day. There will not be no hunting Dec. 20-30. The park will be open all days that week. Three hunters per week have be granted an access pass by Boulder County to hunt this specific area only during this management period. Each hunter was selected through a random drawing of CPW-licensed hunters who obtained the subunit antlerless license (hunt code E-F-020-L3-R) and who then declared interest in this program. Hunters were required to attend an orientation class and pass a shooting proficiency test. As the new library approaches construction, the Town and associated partners have prepared the south side of the Wastewater Treatment Plant center (198 2nd Ave.), as the recycling center's new site, as the library will be located at the current RTD lot site. The town, together with Boulder County plans to have the recycling center relocated in late September. The library's construction is anticipated to begin in October. In late September, the RTD lot will permanently close as a parking lot. Please plan accordingly; vehicles parked in the lot after September 21 are subject to towing. Additionally, there is parking along US-36 (eastbound) between Railroad Ave and Park Ave. The Kurt Carlson Skatepark will also be removed around this time, as the building contractors mobilize for library construction. A new skatepark is currently scheduled to be built in Bohn Park, as part of Phase II of the Recovery Project.